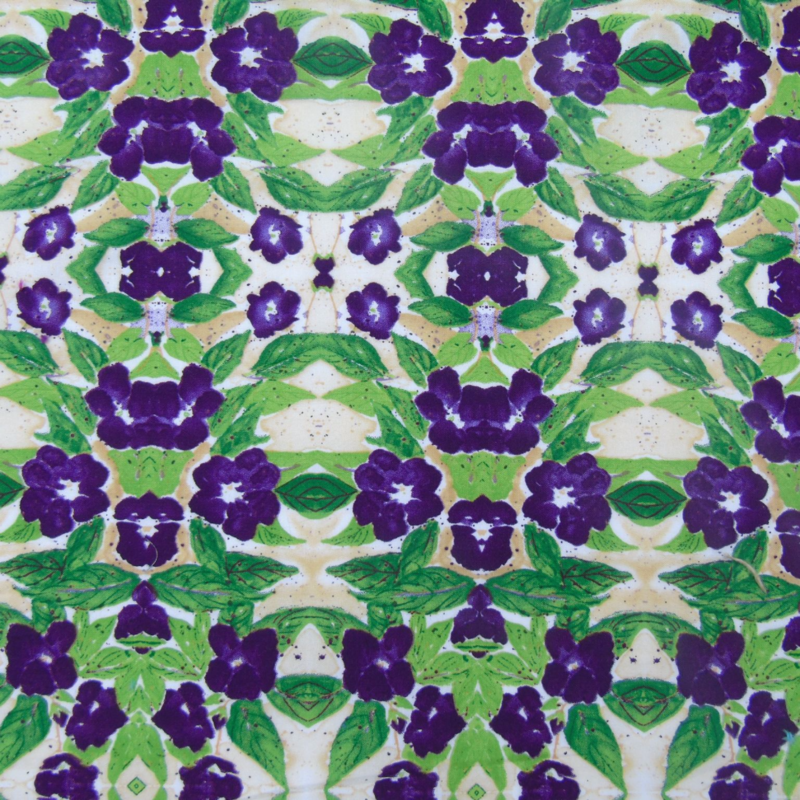 This high quality, premium designer 100% cotton has a pretty floral design consisting of lovely purple flowers....(pansies or violets) and green foliage. It is a beautiful design, and is perfect for the fashion conscious dog about town! (or country!!). 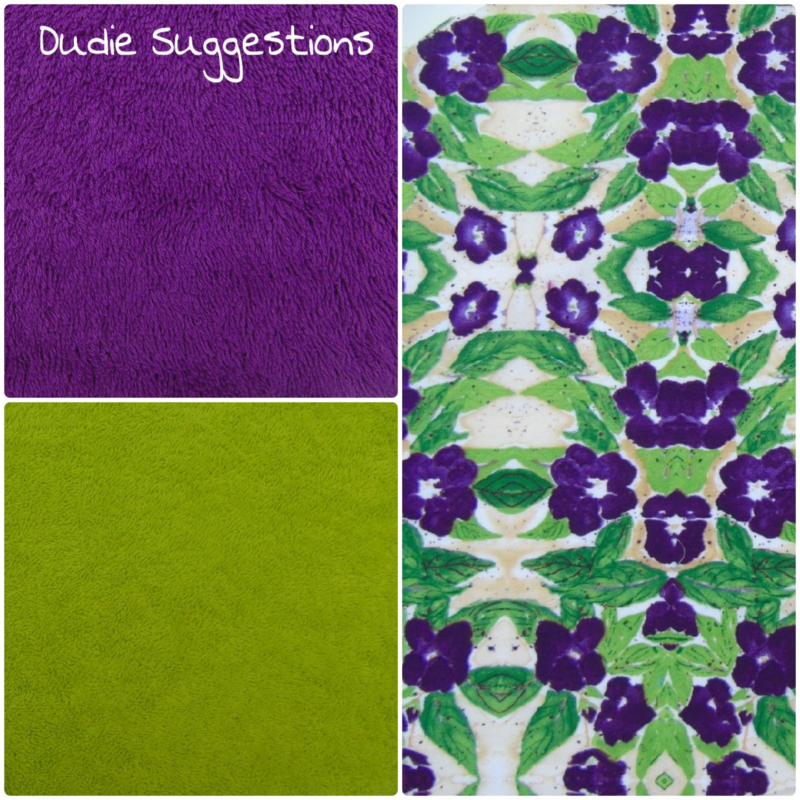 It makes a fabulously stylish and pretty Droolbuster, particularly when combined with the Purple or Lime Green Terry Towelling options. Droolbusters are a perfect and practical accessory for any dog that drools. The cotton towelling panel is super-absorbant, and Droolbusters are machine washable at 40 degrees C. They are available in 6 sizes.